Capture Leads on each Saved Link! 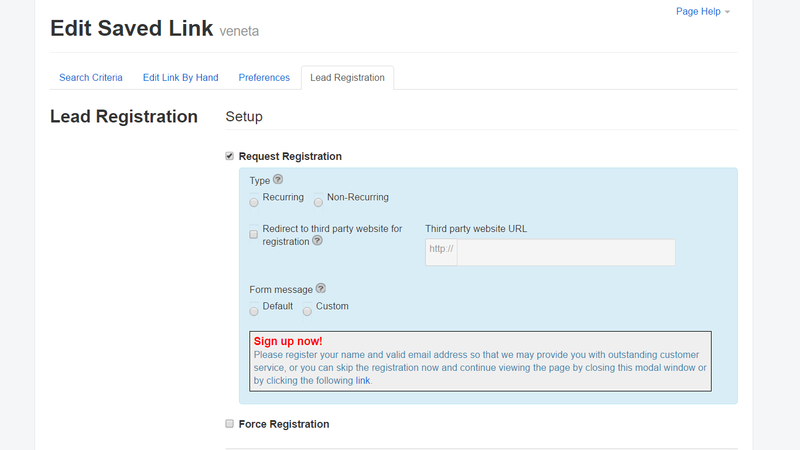 Control your lead registration preferences per each saved link. 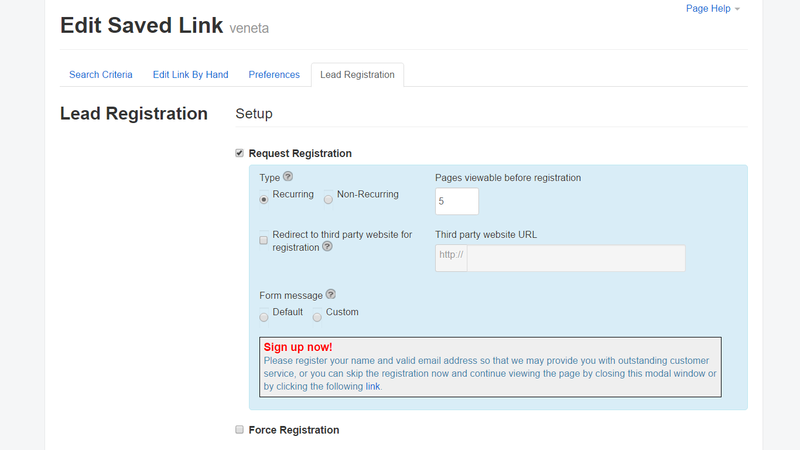 Set different force/request lead registration preferences for each saved link. Choose to include a button that allows your visitors to bypass any requested registration form with one click. Turn registration sign up forms on or off for each saved link you create. Fine tune to find the best strategy for each niche in your market!